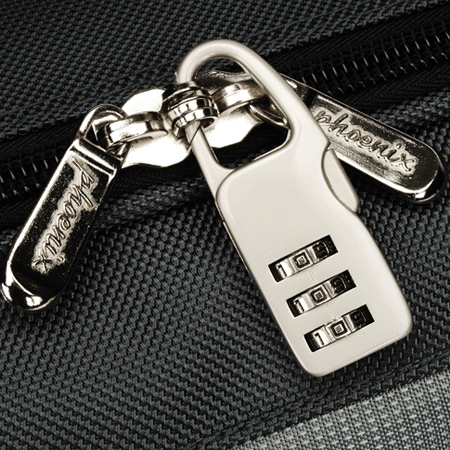 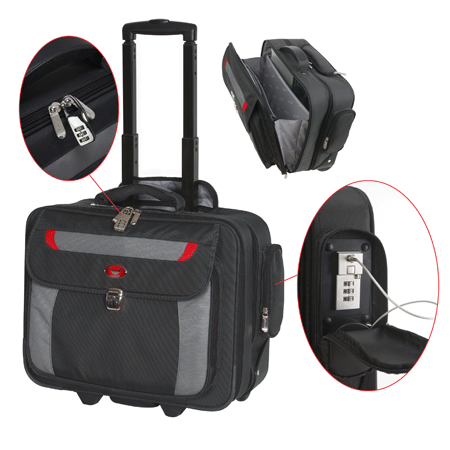 Stop your laptop being snatched from your car, cafe, train, hotel room or airport with this laptop security case. 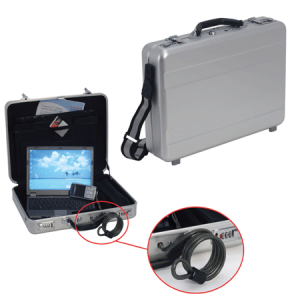 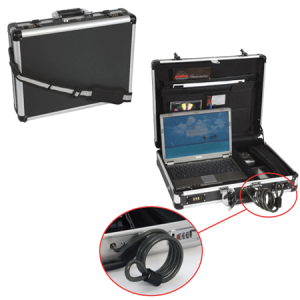 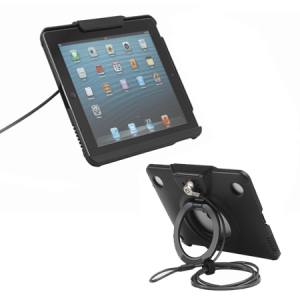 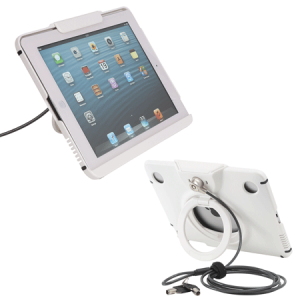 Fitted with a unique security system that allows you to secure the case to a fixed object with a retractable steel cable. 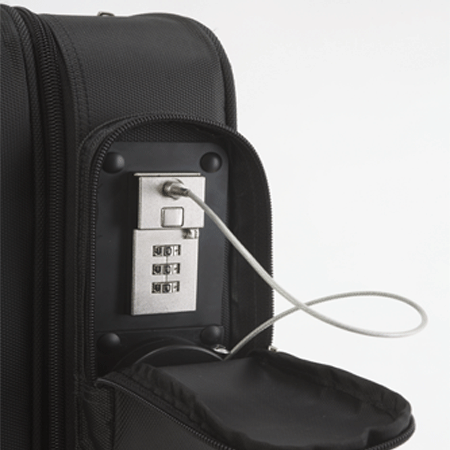 Perfect for people constantly on the move. 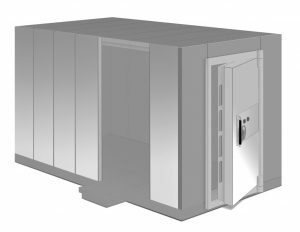 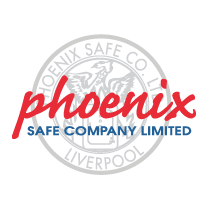 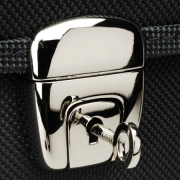 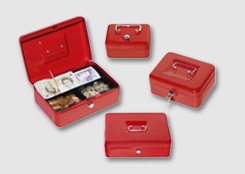 SECURITY PROTECTION: Built in security system allowing you to secure the case to a fixed object with a retractable steel cable and prevent a thief snatching it. 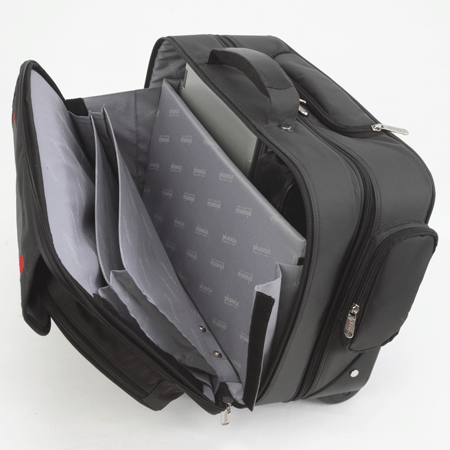 STORAGE: Carries laptops with Screen size up to 17 inch. 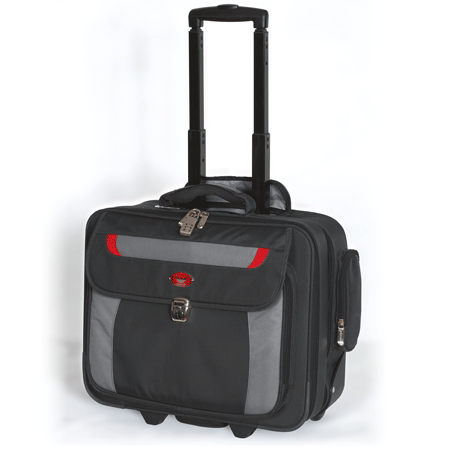 FEATURES: Twin smooth running trolley wheels and telescopic handle and luxury soft grip carrying handle. 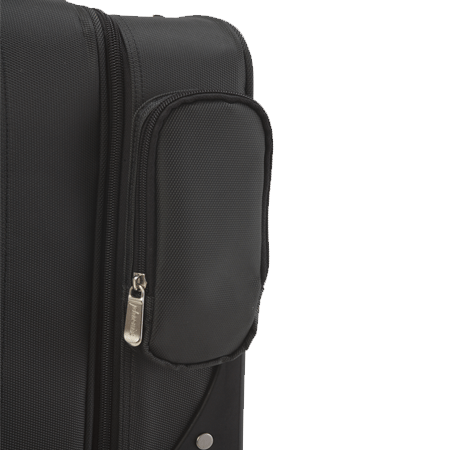 Supplied with cable bag to keep your case neat and tidy. 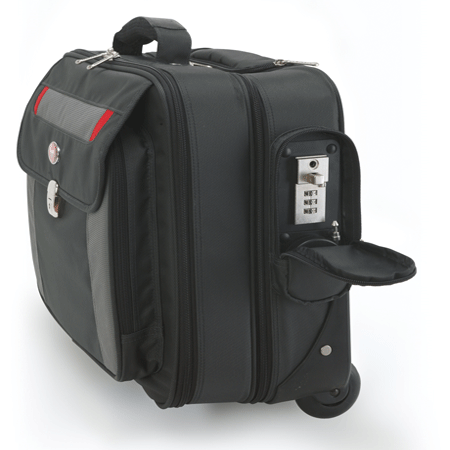 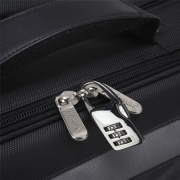 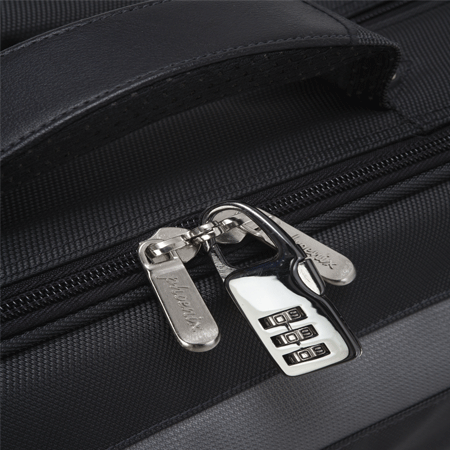 FEATURES: 3 section compartments: Cushioned laptop compartment with combination padlock. 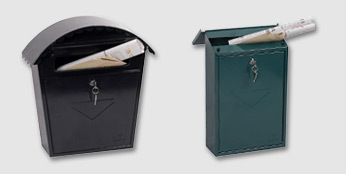 Document Compartment for files, folders, magazine, papers, etc. 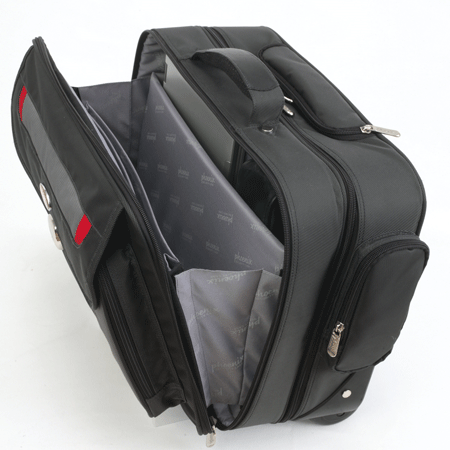 Spacious front section with multifunctional pockets for business cards, mobile phones, CD, hard disk, pens, etc. Overnight compartment with zippered pockets & mesh pocket, ample space for clothing & personal accessories. 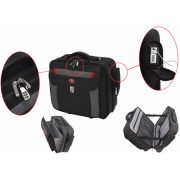 FEATURES: Built in Professional structures with features of water resistance & anti-shock provide full laptop protection. 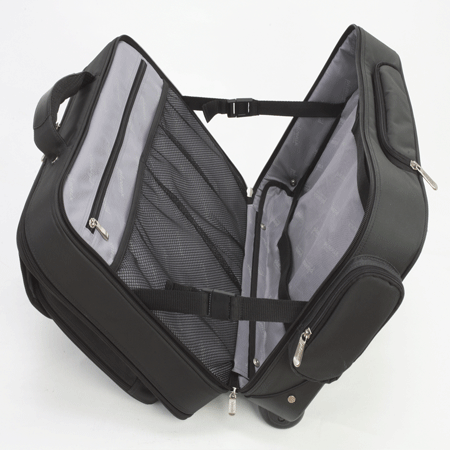 400mm x 425mm* x 210mm *Add 30mm for side pocket.